The cultural zeitgeist of the Middle East has birthed multiple couture greats, with Elie Saab, Zuhair Murad and Ashi Studio pulling in top billing in iconic celebrity wardrobes across the world. Melting the boundaries yet further, you’ll find a host of new names taking up prime real estate on red carpets in the country, with celebrities having their favourite numbers flown in from halfway across the world for key appearances. Whether it is the prestigious stroll at Cannes or a highly touted wedding reception, the signature embroideries set against the backdrop of sumptuous tulles and chiffons serve as easy candidates for a memorable red carpet outing. If you are looking at expanding your sartorial lexicon, these are the couture labels you’ll want to begin with. The signature mirror mosaic bustier should be the first clue that you are about to witness a couture concoction from the Dubai-based label, Atelier Zuhra. Founded by Mousa Al Awfi, the lavish silhouettes occupy their own world of glitzy excess—one that is favoured by the likes of Sonam Kapoor Ahuja, Aishwarya Rai Bachchan and more. The former leaned into the opulence of the design aesthetic by pairing her flared golden gown with a runway-ready headpiece. 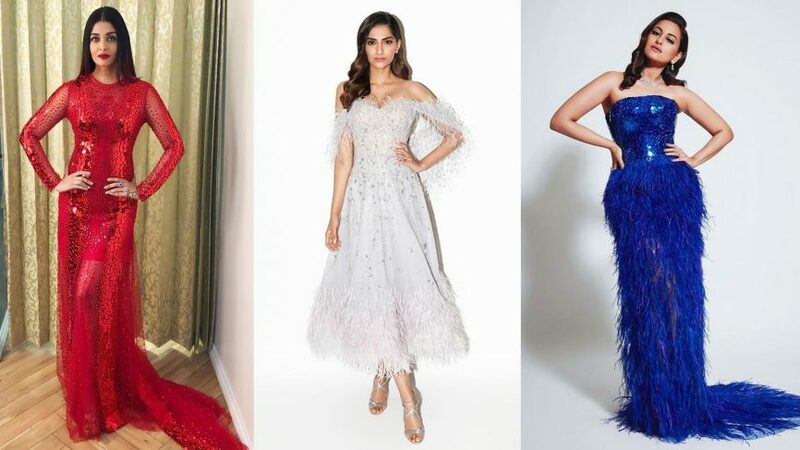 And soon, the mirror work bodice started clocking in regular appearances on the red carpet, with Alia Bhatt, Sonakshi Sinha and Janhvi Kapoor opting for standout jewel tones. Not one to do things by half measures, Kareena Kapoor Khan picked a head-to-toe mirror work midi dress that lit up like a disco ball under the paparazzi flashes too.